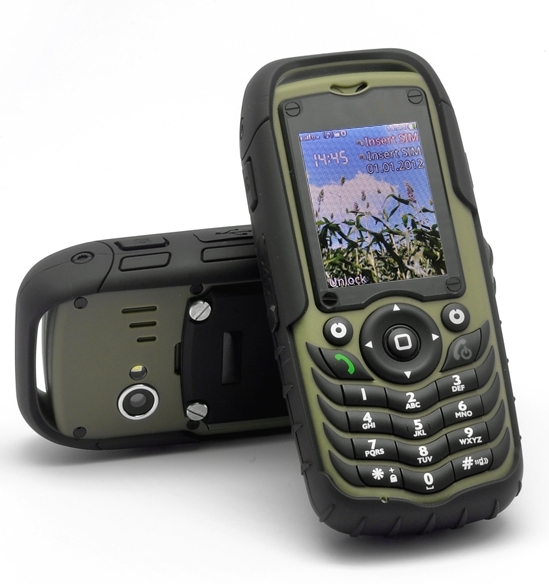 Rugged Design Mobile Phone is waterproof, dustproof, and shockproof and features a 2 megapixel camera, quad band GSM capability and dual SIM slots making it a very well-built and diverse phone. This rugged mobile phone, known as the â€œFortisâ€ is ready to tackle the harshest conditions thanks to its design and structure. Cosseted by a 3.5mm green rubberized exterior that repels rain, dust, and direct force, offers the definitive in real world robustness, the “Fortis” is built to last and take whatever is thrown at it. Now with quad-band GSM this phone can make the call anywhere when needed as well as a 2 megapixel rear camera for taking them must see sceneries while out exploring. This â€œFortisâ€ rugged phone has quad band as a result this device can support four frequency bands, these bands are 850 and 1900 MHz that are mostly used in Canada and the United States, as well as the more common 900 and 1800 MHz bands.